Prolific Cork-based documentarian Pat Collins possesses a restless curiosity, coupled with a poetic eye for the small moments – something that informs this feature debut, of sorts. We say 'of sorts' because Silence boldly defies categorisation at every turn. The film has been described as both meditation and odyssey, tracing the psycho-geographical journey undertaken by an enigmatic soundman (writer and co-scenarist Eoghan Mac Giolla Bhríde) from his adopted city of Berlin to his native Donegal. His undertaking is to aurally document landscapes free from man-made noise – a journey that ultimately leads our protagonist inwards, as he finds himself drawn to his childhood home. Eoghan is a sound recordist who is returning to Ireland for the first time in 15 years. The reason for his return is a job offer: to record landscapes free from man-made sound. His quest takes him to remote terrain, away from towns and villages. Throughout his journey, he is drawn into a series of encounters and conversations which gradually divert his attention towards a more intangible silence, bound up with the sounds of the life he had left behind. 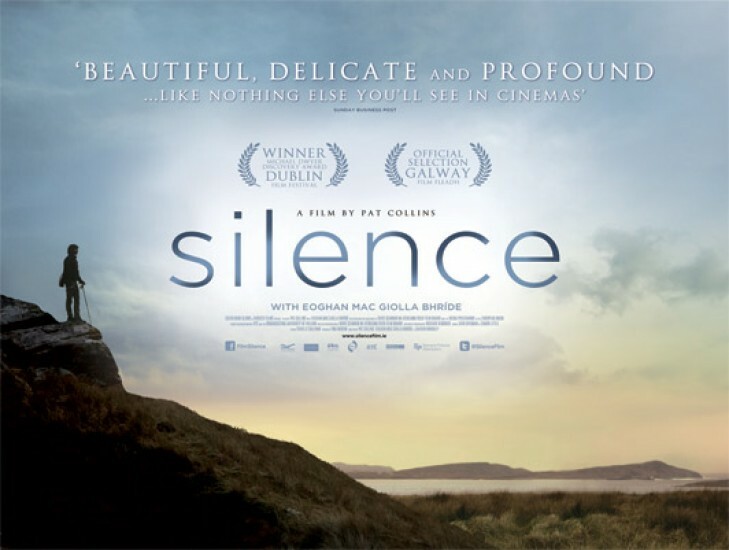 Influenced by elements of folklore and archive, Silence unfolds with a quiet intensity, where poetic images reveal an absorbing meditation on themes relating to sound and silence, history, memory and exile.